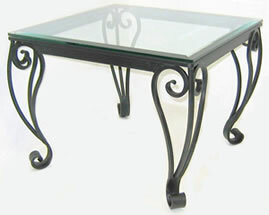 Our range of solid hand forged wrought iron tables are available in five assorted models. 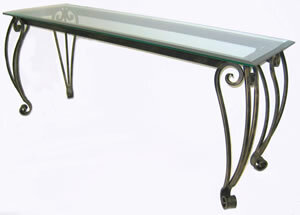 100% Australian made and created with the same style and attention to detail, your living rooms will achieve a stylish and consistent feel. 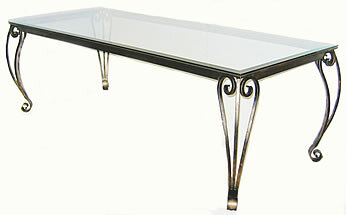 Included with each table is a 10mm clear glass top complete with polished edges and slightly rounded corners. 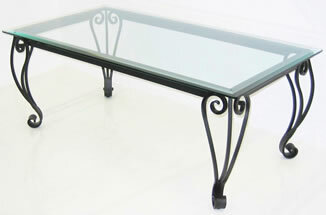 Available in a standard flat black colour or with a variety of optional hand applied paint finishes these tables are a beautiful addition to both traditional and modern homes. 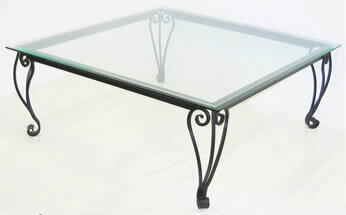 All tables are offered in standard sizes or can be made to order. With either option allow approximately eight weeks to produce.